At least in Japan, you'll be able to fight The Lion War against a friend. March 14, 2007 - Square Enix confirmed to IGN today that the upcoming PSP remake, Final Fantasy Tactics: The Lion War, will feature multiplayer battles. The two-player skirmishes will paint one team red and the other blue so you don't mistakenly attack your own Monk, and will have a set number of turns so as to prevent one player from simply avoiding the other forever. Set to release in Japan next month, Square Enix unfortunately could not confirm a North American release at this time. 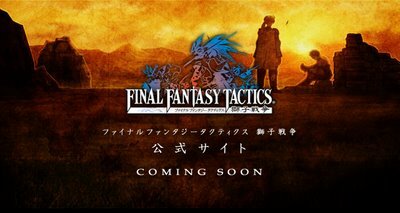 The PSP is region free, though, so there's nothing stopping Tactics fans from importing the game and challenging a friend to a battle in Ivalice…except maybe all that darned Japanese text. But that's what FAQs are for, right? I am now officially a member of the Vista Boys. A group of young men who owns an activated Windows Vista Ultimate. Just recently baught a new mobo, an ASUS V800D-X and installed the new Windows Vista on a freshly reformatted hard disk. The interface is an eye candy and the security is robust. XP users are invited to jump into Vista as soon as possible. 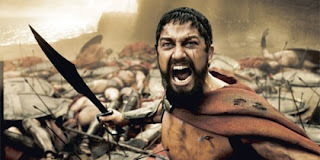 If you went and saw 300 this past weekend, bravo! You have good taste in movies. If you were a reviewer that panned it because it was “too gory,” “too historically inaccurate,” or “too video game-like” shut up grandpa! You are way out of touch with what the public wants. Fruity Pebbles Sneakers: What the Hell is Wrong With LeBron James? LeBron James is a fantastic basketball player, he has good taste in cereal, but I don’t know if combining the two was a great idea. 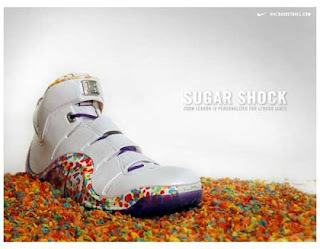 The Nike Zoom LeBron IV is inspired by LeBron James’ favorite cereal - Fruity Pebbles. It’s retarded, but I wouldn’t be surprised if they sold a million pairs. Information on pricing and availability has not been made available. HD Photo, the new JPEG? The HD format should permit, according to Microsoft, to offer better quality pictures, with a better compression ratio than JPEG. On BETA Release for Windows. A file format plug-in to add HD Photo open/save support to Adobe® Photoshop® software. Available Here. So, you're into japanese women huh? The looks of Utada Hikaru. Goto Maki and Tomiko Van pumps your blood. Then these 4 lessons are for you.